If you have a taste for interior designing or you are aspiring to take this career professionally, you need to closely follow the popular interior design blogs to know the latest trends. These will definitely inspire you! Are you aspiring to be a professional interior designer? Or, perhaps you’re already freelancing and are looking for more motivation and inspiration. Thanks to the technology for bringing in plenty of inspiration and new ideas. Yes, you can take your essential inspiration from the internet. But, I find TV more inspiring in this regard. I have a subscription to one of the cable tv providers in my area and I find the sets and décor in the movies and shows amazingly inspiring. You can literally take ideas to decorate a complete house if you observe the interior décor ideas in the movies and shows closely. 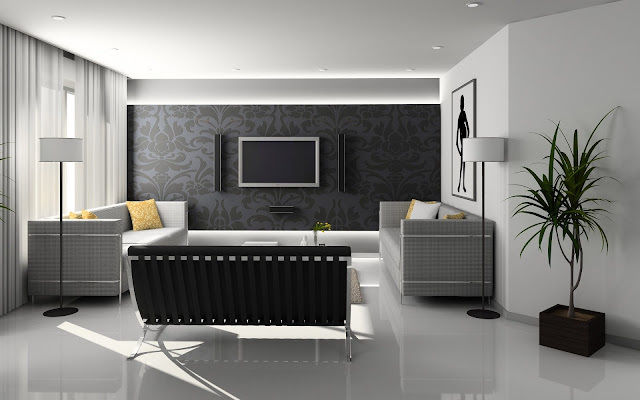 Interior designing involves a constant shift in trends. You need to be both, updated and creative to be a successful interior decorator. You need to follow the latest trends with popular interior design blogs and you’ll need to constantly turn to them. We are going to provide names of some incredible blogs with styling ideas, stunning interiors, and décor finds. Of hundreds of interior design blogs on the internet, I have handpicked some to ensure that you get quality ideas, a dose of inspiration, and updates on the latest trends. Get ready for those eureka moments! Awaken your inner artist! In the interior décor industry, it wouldn’t be wrong to say that Apartment Therapy is a blogging behemoth. It is a great communal blog and it’s updated with the stories frequently. You will get to see a good range of décor ideas from housing markets to celebrity interiors. People submit related articles from all over the world. The format of this blog is heavily visual. You will see tons of images to have insights into the latest trends in the interior designing world. This blog is over 10 years old and caters for the interests of both hobbyists and professional interior designers. You will see that every post follows a unique theme, accompanied by plenty of images to thoroughly convey the descriptions. The writing style is conversational. Although, there’s a downside to it. Since the founder of the blog is based in London, you will witness the influence of British city life in the content. The concepts also involve a vivid impact of local designs and townhouse ideas. Fresh Design blog is your go-to-resource if you have an affinity for the modernist approaches towards interior designing. Created 9 years ago, currently, the blog essentially specializes in contemporary and modern interiors. The layout is split into four different categories such as furniture, décor, interior ideas, and home accessories. You will find no reluctance to explore a little more quirky approach towards creativity. You can see its illustration in their recent posts based on out of the ordinary hooks and hangers. They also offer creative ideas by taking inspiration from real life. This particular blog has managed to get plaudits from Sheerlux, Vogue, Vuelio, and other popular names. It is perhaps one of the most decorated blogs in the whole industry. Content has a vast range to offer from insightful and basic useful stuff to visages, which are location based. Take the instance of the series called the “10 beautiful rooms”. Watson-Smyth, the creator of the blog, is not hesitant to share her own tips about the future of the trendy interior designs. If you want a touch of boldness in your interior designing, you are going to love this blog! Are you someone who is good at taking inspiration from unusual places? The creator of this blog Carole King does the same. The content on this blog ranges from the unsung beauty of deliberately poisoned fairytale lights to exploring the Danish influences. You will see new posts and updates on the blog quite frequently. The usual frequency is almost four posts a week and you will find the imagery stunning. The posts are a little semi-autobiographical. You can identify the objects and furnishings within the text. If you are looking for a simplistic yet alluring layout, Design Hunter is perhaps the most accurate qualifier in the blogosphere. You are going to love the creativity and value that the blog offers. If you look up on the internet you’ll find tons of blogs. I have tried to jot down the best ones for you. But if you ask me to give you a comparative review of Apartment Therapy vs Fresh Design Blog, then it’s almost like a Cox vs CenturyLink comparison. When both are close to excellence, then choosing one over the other becomes fairly difficult. Therefore, it is better to get help through Cox Customer Service Number.